From prosperous entrepreneurs to high profile CEOs, the nation’s top trailblazers in business and entertainment are sitting down to share their secrets with Winnie Sun. 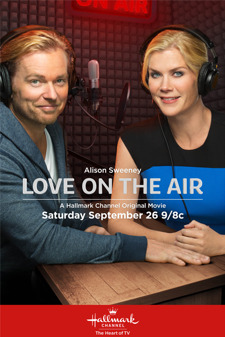 ALISON SWEENEY - You know her as Samantha Brady (DiMera) on Days of our Lives, the host of The Biggest Loser, and may have seen her face staring back at you from the shelves of your local Barnes and Noble; but now you will get to know her as Sonia in "Love on the Air". This new romantic comedy stars Alison as both the lead actress and Executive Producer and will be airing on the Hallmark Channel Saturday, September 26th at 9/8c. You won't want to miss it! Download the PodBean App and listen to our podcast on the go! Copyright 2015 Sun Group Wealth Partners. All rights reserved.